It can be easy for a business to feel too small, too niche or too seasonal to need a well-designed website, a well-developed marketing strategy and a well-curated social media presence. The justification for ignoring these foundational components that enable most businesses to thrive can even develop organically through what can seem like common sense. Why waste money improving an outdated website design when the majority of your business comes from word-of-mouth? Why spend the time developing a yearly marketing strategy when your business only operates seasonally? Why should you care about managing social media ratings or Yelp reviews when your business is already driven by repeat customers? In reality, no business can afford to ignore these basic practices, especially seasonal businesses that rely so heavily on such a short time of year. Take, for example, Sunny Day Tree Farm, an Oregon you-cut Christmas trees farm that’s only open for business five weeks out of the year. As experienced entrepreneurs, owners Jon and Su Schatz understood the need to establish an effective, appealing and professional online presence. “I had experience with running small businesses and knew just how much a digital footprint had to offer,” says Jon Schatz. Despite operating one of the most niche and seasonal businesses imaginable, Jon still saw the need to enlist Local Fresh in helping to redesign a website that, while functional, lacked any of the heart and soul his business possessed. When operating a seasonal business that draws so much of its yearly revenue from only a few weeks, you have very little room for error. “It’s a lot of work in a short period of time. You just have to prepare yourself mentally and physically because you’re bringing in so much revenue in such a short period of time,” said Jon. Sunny Day also enjoys a healthy amount of repeat business and a dedicated customer base that returns year after year. Despite the foundation of a repeat customer base and sterling reputation that Sunny Day enjoys, Jon knows the importance of establishing lasting relationships and making each customer interaction a memorable one. Creating a recognizable presence that draws customers starts online. 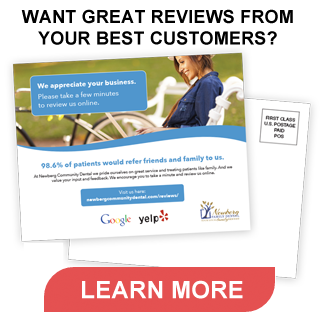 When a Facebook like, Yelp review or Instagram post shines a spotlight on Sunny Day, potential new customers will draw their first impressions of Jon and Su and the business from their website. In these moments, you need more than a digital business card that provides visitors with an address and phone number. You need a website that helps capture the spirit of your business and what your brand stands for. 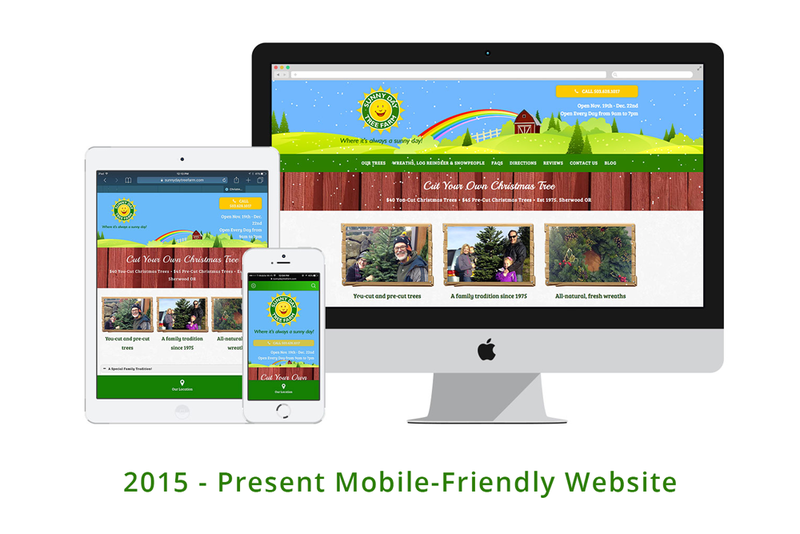 In comparison, the old website offered just the facts behind the business while providing no sense of the people behind Sunny Day Tree Farm. It takes 47 weeks of preparation to ensure that Sunny Day enjoys success during the five weeks a year it is open to the public. With the assistance of Local Fresh and a well-planned marketing strategy, Jon knows that, come Thanksgiving, Sunny Day will have set the foundation needed to maximize its seasonal profits. “All throughout the year, Local Fresh helps to make sure everything is prepared before the season hits; making any changes or corrections. 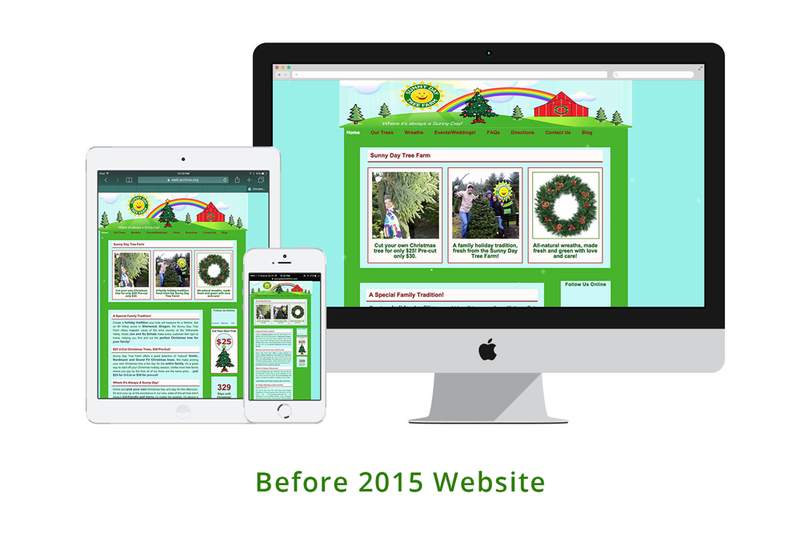 At this time of year, they are extremely responsive to making any changes to the homepage or updates that are needed,” reports Jon about the role Local Fresh plays in helping execute Sunny Day’s yearly marketing strategy. From keeping information on the website up-to-date to establishing a social media presence that continuously generates interest in Sunny Day as Christmas approaches to quickly addressing any issues that develop during the peak busy season, Jon truly appreciates Local Fresh’s role in helping Sunny Day’s business grow. What Are You Doing To Market Your Business Online? As the story of Sunny Day shows, every business, regardless of size, niche or season can benefit from a dynamic website and marketing assistance. Don’t fall into the trap of thinking your business can continue to operate with an outdated website, marginalized marketing plan or nonexistent social media presence. Click here to find out how Local Fresh can help grow your business into a shining star that sits atop the competition. ← How Has Google’s “Possum” Update Impacted Your Local Search Results?